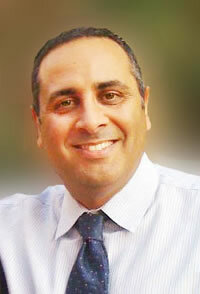 Hussam Antoin, M.D., is a board certified Anesthesiologist and a fellowship-trained Pain Management physician. Following Residency at Boston University Medical Center, he completed a pain medicine fellowship at Dartmouth-Hitchcock Medical Center, one of the nation’s renowned pain centers specializing in interventional pain management and highly specialized spinal injections. 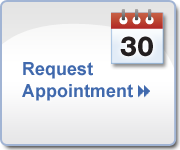 He has extensive training and experience in treating chronic pain emanating from spine injuries , cancer pain, occipital headaches, musculoskeletal pain, and spasticity. 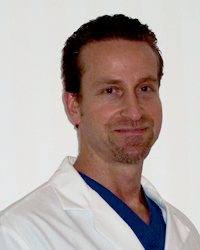 Dr. Mark Rothman is an anesthesiologist who specializes in interventional pain management. He completed his residency training in anesthesiology at Harvard Medical School, and then proceeded with his pain management fellowship at UCLA Medical Center. Afterwards, he underwent additional training in interventional pain management procedures at the Pacific Pain Treatment Center in San Francisco, where he mastered a wide variety of injections and procedures to treat patients with both chronic and acute pain syndromes. Dr. Rothman then joined the anesthesia department at Cedars Sinai Medical Center, where he worked as an interventional specialist at The Pain Center at Cedars Sinai. Dr. Rothman then went on to become the founding Chief of Anesthesia at Century City Doctors Hospital, where he created and managed an entire department of anesthesia and pain management specialists, who provided care for both chronic and acute pain patients until the hospital's closure. Currently, Dr. Rothman specializes in performing spinal injections and interventional pain management procedures for both acute and chronic pain syndromes. He also enjoys an active practice of anesthesiology for both inpatient and outpatient surgeries of the spine, orthopedic surgery, and plastic surgery. 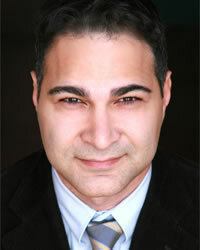 S. Daniel Golshani, M.D., F.A.C.S. 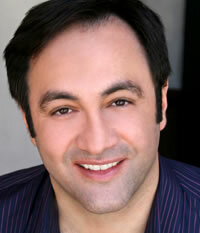 Daniel Golshani, M.D., F.A.C.S., is a double board certified Plastic and Reconstructive Surgeon and hand surgeon. Dr. Golshani is a diplomat of both the American Boards of Surgery and Plastic Surgery, and a Fellow of the American College of Surgeons. Doctor Golshani completed his undergraduate education in Biology at UCLA with multiple high honors, and medical school at the University of California, Irvine as a Regent’s Scholar. During a six year residency in General Surgery at the University of Southern California, Dr. Golshani received extensive training in the management of complex surgical problems involving the head, neck, and torso. While completing his residency, he also participated in a one year Research Fellowship in Plastic and Reconstructive Surgery focusing on reconstructive facial surgery and hand surgery. Dr. Golshani successfully completed his residency in General Surgery in 1997 receiving the “Outstanding Chief Resident Teacher of the Year” award. For the next two years, Dr. Golshani attended the prestigious Plastic and Reconstructive Surgery Residency Program at the University of California-San Francisco, where he underwent an exceptional and intensive training in reconstructive surgery and hand surgery from world renowned experts. He completed his training with a final year of Clinical Fellowship in Reconstructive Microsurgery and Orthopedic Hand Surgery at USC and the Southern California Orthopedic Institute. Doctor Golshani’s clinical practice focuses on the management of complex cases in plastic and reconstructive surgery and the surgery of the hand and upper extremity. Dr. David Soofer attended the California College of Podiatric Medicine in San Francisco, CA; where he earned the degree of Doctor of Podiatric Medicine (DPM) in May 1996. He then completed a surgical residency training at Los Angeles County USC Medical Center (1998) and has been in private practice since. 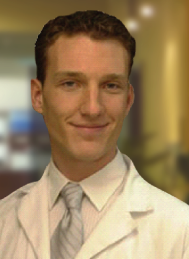 He is an extremely caring physician who prides himself in developing a good rapport with his patients. While the techniques of foot and ankle care he employs are cutting edge, innovative and safe. Dr. Soofer is involved in clinical teaching and is on the panel of consultants of several pharmaceutical companies. He believes in giving back to the community with his involvement in Venice Family Free Clinic, and multiple community based health services organizations. On a personal note, he enjoys trail hiking and is an art enthusiast. Dr. Schneider recieved his Bachelor of Science in Biology from Colorado State University in his home state of Colorado. He then moved to San Francisco to pursue his graduate training at the California School of Podiatric Medicine. Upon graduation from podiatric medical school, Dr. Schneider returned to Denver, Colorado for his residency training in podiatric medicine and surgery at Eastern Colorado Healthcare Systems. Through his experience and training, Dr. Schneider has developed a passion for treating every patient with respect and individualized, attentive care. He believes in the management of foot and ankle disorders while striving for the improvement of overall quality of life.